SpaceX CRS-7 suffered a critical failure and exploded about 1 minute after launch with complete loss of vehicle. We are expecting a post-event News Conference on NASA TV but currently the expectation is no earlier than 12:30 pm ET. A NASA TV portal is provided below. After the explosion all visitors at the Kennedy Space Center Visitors Complex, including the 124 SSEP delegates, were moved quickly inside in an over abundance of caution, but have now been allowed to proceed back outside. Our hearts go out to all the M7 student researchers and communities. We’ve been here before with the loss of Orb-3 and the Mission 6 Yankee Clipper experiments … and we recovered from that loss. 17 of those 18 experiments were re-flown. 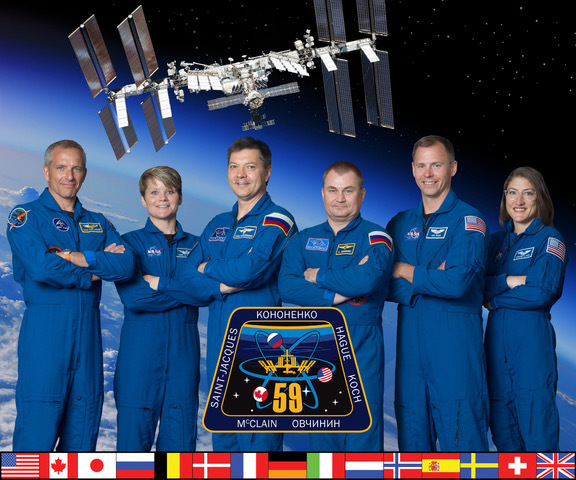 The 18th, from North Charleston, South Carolina was on SpaceX-7 – they lost their experiment twice. Nobody said space exploration was easy. As I said last October after the loss of Orb-3, failure happens … what we do in the face of failure defines who we are. Chins up. We will find a path forward. Promise. We are meeting with all SSEP delegates at KSC at 11:45 am to debrief together. We wish we could do the same with all the M7 researchers. 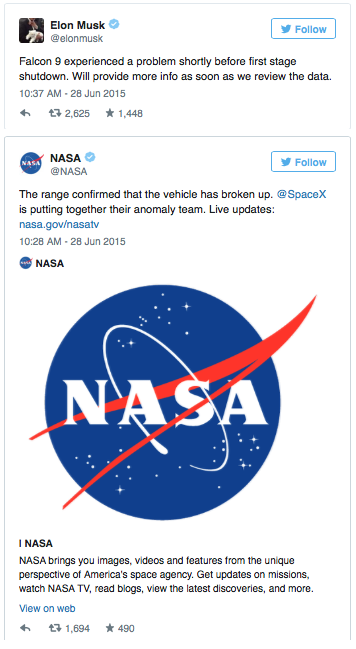 Shortly after the accident, Elon Musk and NASA posted the following on Twitter. Hang in there Mission 7! Our experiment was aboard Mission 6 that suffered a catastrophic failure too. We were disappointed but learned just how hard rocket science was and gained an appreciation for the amazing opportunity we had as a high school to send an experiment to the International Space Station. Don’t worry, Dr. Jeff, Stacy, and John will take good care of you You will fly again another day!